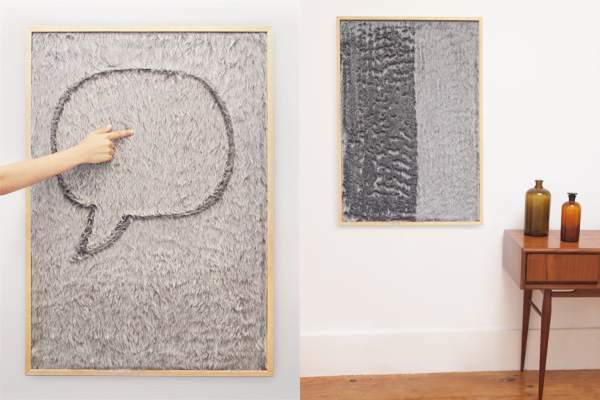 Dedo – the notice board with fur real appeal! Doesn’t every kitchen have a notice board? Mine is plastered with post-its, bills and postcards and does tend to look rather disshevelled, not to mention a tad old-fashioned! So I’m loving this very simple, very stylish and totally touchable message board. Made with a faux fur base with a wooden frame, the Dedo (meaning finger in Portuguese) is a lovely, tactile way of displaying messages. Just run a finger over the fur to create words or images and then stroke it flat to erase them. The Dedo costs €110 from Arcademi or contact Goncalo via his website for more details.